The Force was definitely not with Star Wars in the months leading up to its release over Memorial Day weekend in 1977. Even executives at 20th Century Fox had their doubts. The Other Side of Midnight, based on Sidney Sheldon’s potboiler, was supposed to be the studio’s big summer hit, while George Lucas’ movie was considered the “B track” for theater owners nationwide. In those days, film buyers had to bid blind for titles (trade screenings happened at the eleventh hour). The decisions — right or wrong — defined careers. Here, THR talks to five buyers who were part of the Star Wars revolution — after opening on 42 screens, the film expanded to 1,750 and stayed in theaters for over a year — on their way to becoming Hollywood players: Erik Lomis, 57, now head of distribution at The Weinstein Co.; Chuck Viane, 70, the former head of distribution at Disney; Bob Lenihan, 61, president of programming at AMC Theatres; Travis Reid, 61, head of distribution at Broad Green Pictures (Reid and Lenihan were friends and admitted hippies living in San Francisco in 1977); and Larry Gleason, 75, now with Arenas Entertainment. GLEASON I was president of Mann Theatres, which had the Chinese in Hollywood and theaters in Westwood. There were a lot of people at Fox who didn’t want to make Star Wars. The running joke as that when George Lucas made his final pitch to Alan Ladd Jr., who was running Fox at the time, Laddie said no, but he said it so softly nobody heard him. LOMIS In the months before it opened, a lot of the older guys thought of Star Wars as a kiddie movie. The cast meant nothing, and no one knew who George Lucas was. I was working for a circuit called Sameric Theatres in Philadelphia. We thought we got hosed because the competition got the big “A track” picture, The Other Side of Midnight. Five years later, the same thing happened with two Steven Spielberg movies, Poltergeist and E.T. the Extra-Terrestrial. The big one was supposed to be Poltergeist. E.T. was an afterthought. REID I think it did more or less start that way — Fox making you take Star Wars if you wanted Other Side of Midnight. 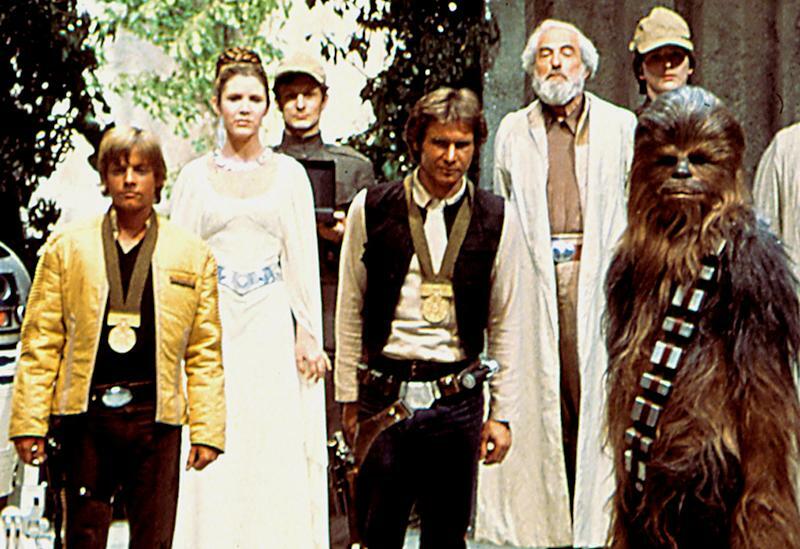 But it ultimately flipped around: If you wanted Star Wars, you had to play the other film. REID We hadn’t seen Star Wars before we had to choose. I was a rookie buyer at Theatre Management Inc., based in San Francisco, and cocky enough to think my pick of The Deep — with Jacqueline Bisset in that wet T-shirt — was going to do a lot of business. VIANE I was at General Cinema Theatres in Chicago and running the Midwest. Back then, movies played in exclusive runs in select cities. I bid for Star Wars and won it exclusively for the St. Park, a struggling theater we had just bought in Minneapolis. I don’t recall whether it was the first week or weekend, but the St. Park grossed $250,000, more than it had made in the prior three months. LOMIS The movie played at Eric’s Theatre in downtown Philadelphia for a year. It was nuts. What I remember most, though, is when it broadened to the suburbs. I was calling around to get the first matinee grosses, and my kid sister, Sandy, answered the phone at one location. She said she was too busy and hung up on me. Star Wars changed how movies were released. The Empire Strikes Back opened everywhere. GLEASON In those days, you had studio customers. Mann’s main customers were Paramount and Warner Bros. Once in awhile, you’d play a picture from someone else. Fox’s general sales manager at the time, the late Peter Myers, called and said George Lucas really wanted the Chinese. We had two weeks available before we had to play William Friedkin’s Sorcerer, from Paramount. Fox has such limited expectations for the film he said that two weeks would be all they needed. After opening weekend, we went to Paramount, but they wouldn’t budge. They said we had to live up to our commitment, but we wanted to keep control of Star Wars. We owned another theater in Hollywood that wasn’t very nice. It stayed open 24 hours so people slept there. We did a crash renovation, put in new seats, painted it and cleaned it up. 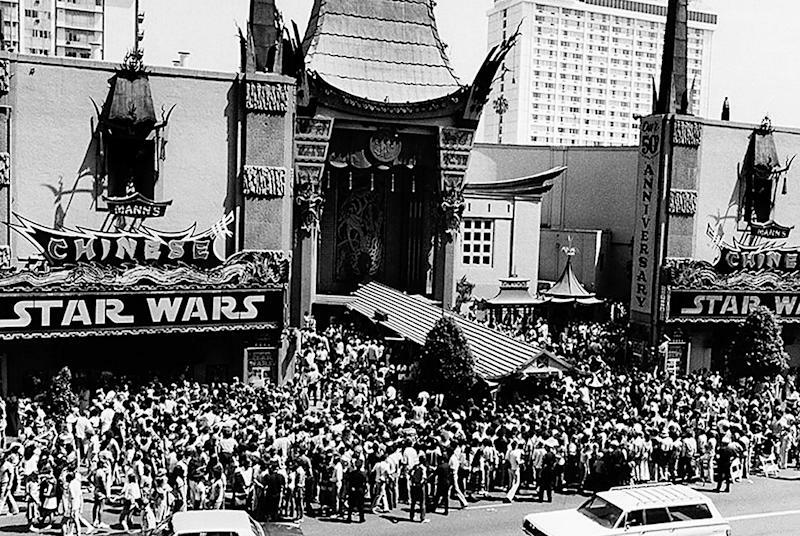 We moved Star Wars there, where it played for two weeks before coming back to the Chinese. VIANE No one could have anticipated that kind of success. You didn’t have tracking that spelled out opening-weekend grosses or social media. That’s how theaters earned their reputations back then. They had a big picture and played it for a long time. And as a film buyer, you shined if you were the guy who bought the right pictures. LENIHAN It’s still hard to fathom.